Vanna K has several new additions; this ring, from our Hand-Engraved Collection, being one of our favorites. The real beauty of this ring is in the details of the design. In true Vanna K style, this diamond engagement ring pairs classic elegance with modern sparkle by using micro-paved settings and details you can only get with expert hand-engraving artisans. Featuring 1/2 carat of sparkling micro-paved diamonds, and a dazzling 1 carat round center stone, this ring is an instant classic with a lot of character. 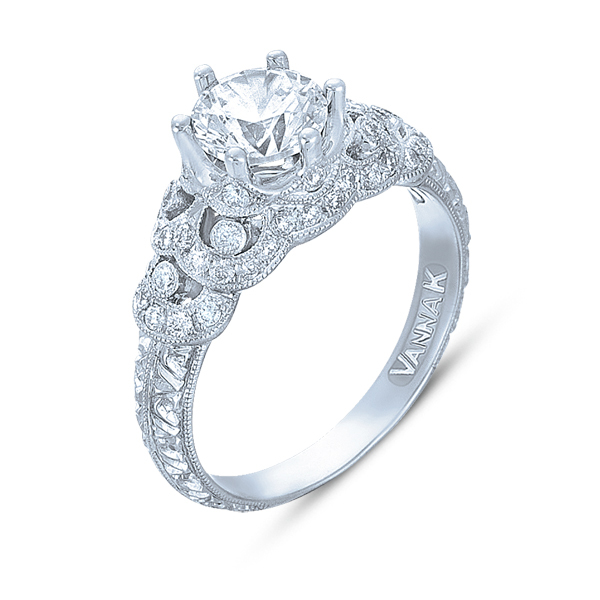 Find this ring and other uniquely-designed diamond engagement rings today at Vanna K.